Rock On Table Cover – Bring a little rock n’ roll to your next party with this edgy, vinyl table cover! 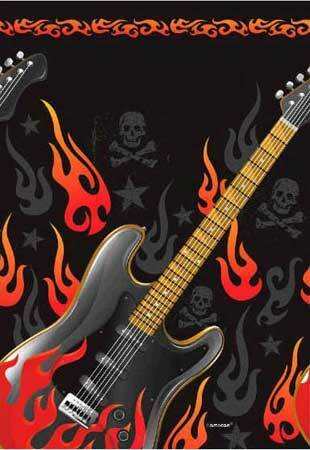 Featuring flames and guitars it will make your guests want to rock out and have a good time! A cool and unique touch for any music themed event. Fits most standard tables. Size: 54″ x 102″. Unique Music Party Favors at DRUM BUM!